Never Enough Nails: Lynnderella Lady on a Lily Pad and Spring Thing Swatches! 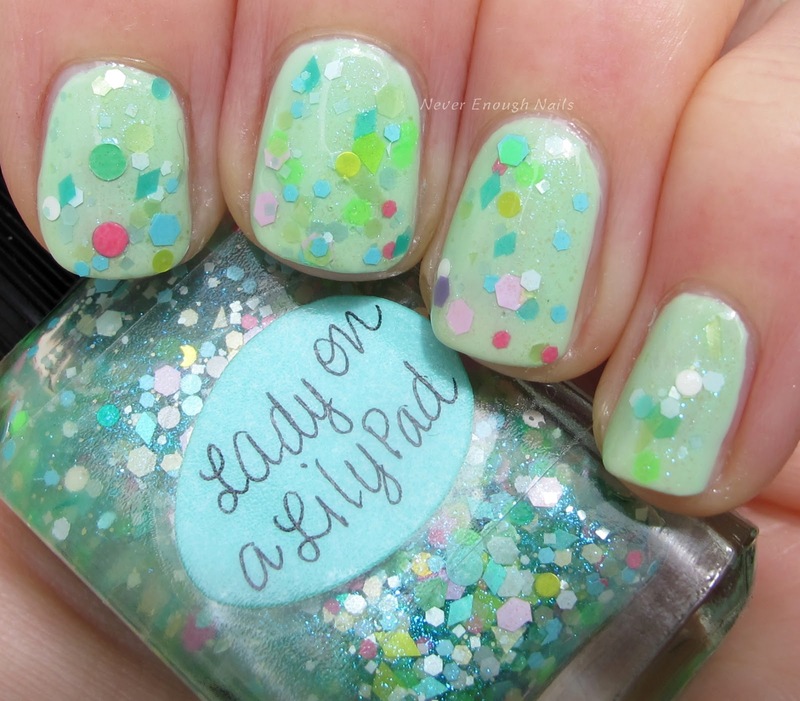 Lynnderella Lady on a Lily Pad and Spring Thing Swatches! Today I have two pretty Lynnderellas for your enjoyment. I'm still working on spring Lynnderellas, but technically it's still spring here until June 21st! 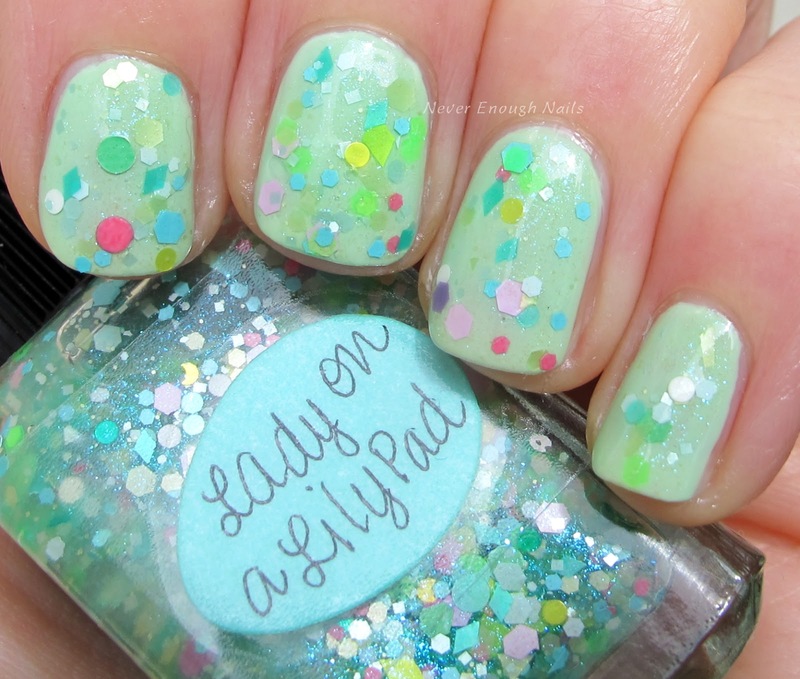 First up is the stunning Lynnderella Lady on a Lily Pad. 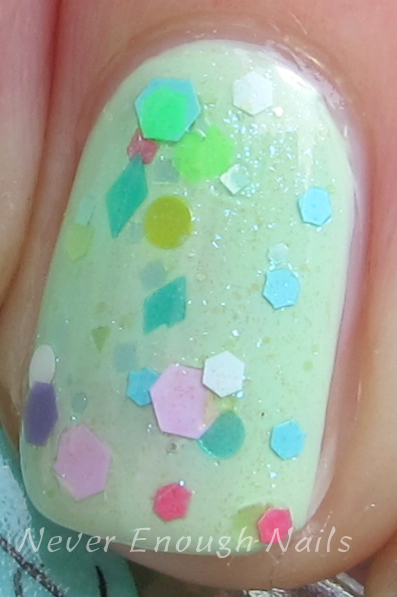 I love everything about this polish- the name, the mix of pastel and neon greens, pinks and yellows and the delicate mint shimmer. This is such a perfect spring polish. This is two dabbed coats of Lady on a Lily Pad over OPI That's Hula-rious!. It was pretty easy to apply with the dabbing method. The glitter was plentiful and the consistency was great, not too thick or too thin. Lynnderella Spring Thing is described as a "scattered multiglitter featuring a bouquet of flowers in a pink-shimmered translucent pink creme base". The "bouquet" of flowers is a bunch of different colors of flower glitter. You already know I love this because of the circle glitter (my fave!). I love the mix of yellow, purple, pink, orange-y peach, and some blues. The base of this is a translucent milky pink and it does has a fair amount of pale pink tint to it. This is one coat over OPI Put It In Neutral. 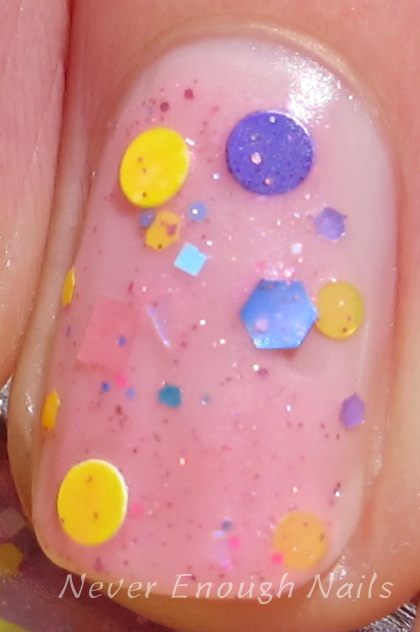 I wanted to layer this over something sheer, so you could see the pretty pink tint in the base. I also topped it with a matte top coat. I was just in the mood for matte! This was very easy to apply, no troubles at all. Both of these pretties are core colors from the Lynnderella Spring Things collection and they are readily available on lynnderella.com and lynnderella.storenvy.com. For more information (and hopefully a summer collection! ), check out Lynnderella's blog!